Every week is like a RAGBRAI week since we have been here in Iowa. 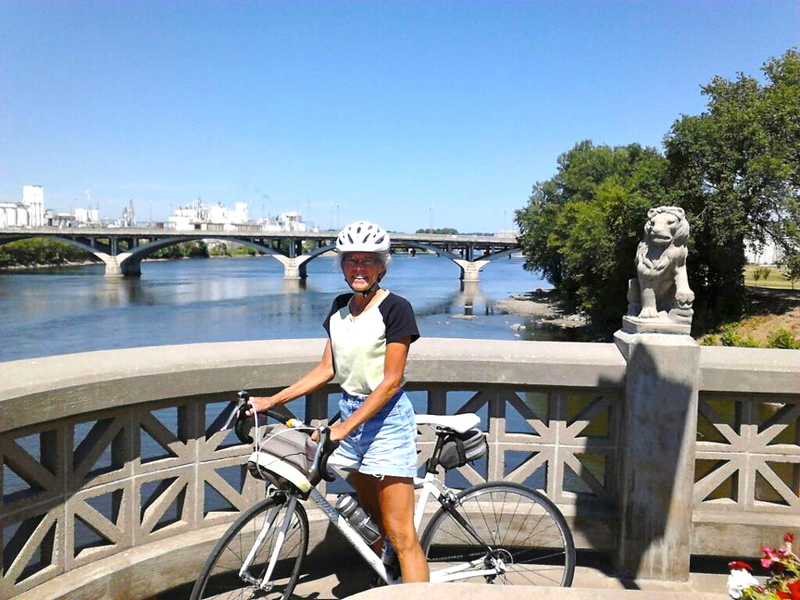 In previous years, I would have to spend 51 weeks a year waiting for that one special week of RAGBRAI. 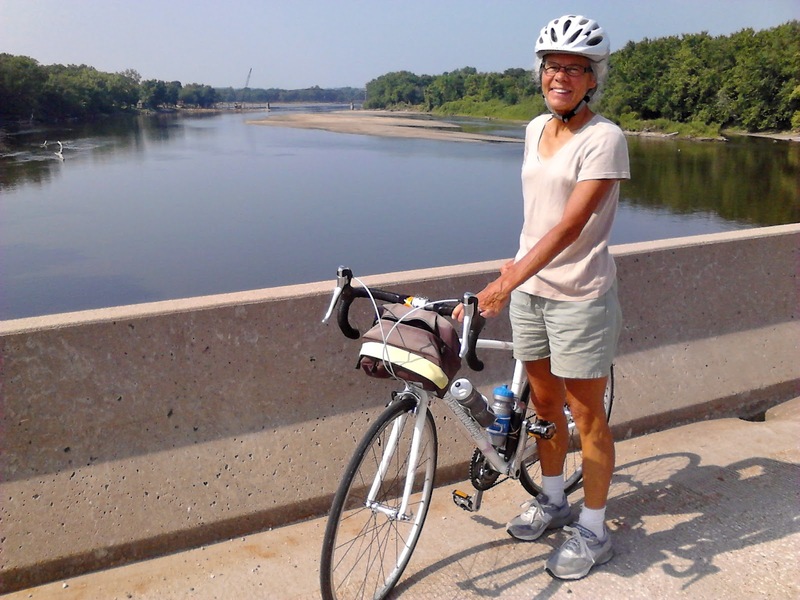 Camping, bike riding, fighting heat and headwinds, encountering friendly Iowans, seeing beautiful countryside, more bike riding–all of what I love about RAGBRAI has been part of our days here. Training rides in Virginia would get tiresome after while because we would do the same routes and get the miles over as quickly as possible. Here we get to explore routes that are new to us. 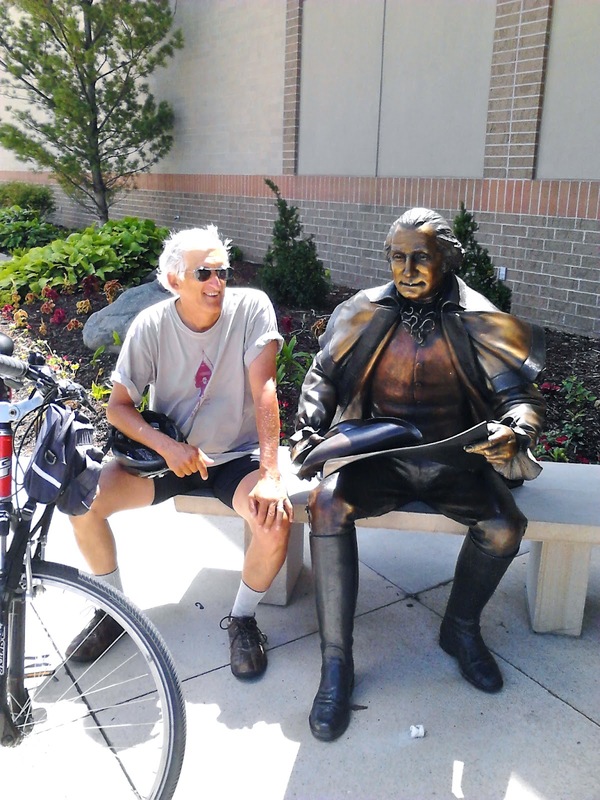 Some of the rides have been with the bike club and some were mapped out for us by Mike, who has ridden just about every route there is to ride around Iowa City. And then if we don’t feel like doing a bike ride there is also the fun of spending time with the grandkids. Life doesn’t get much better than this. Bridge over Cedar River on ride to town of Sutliff. 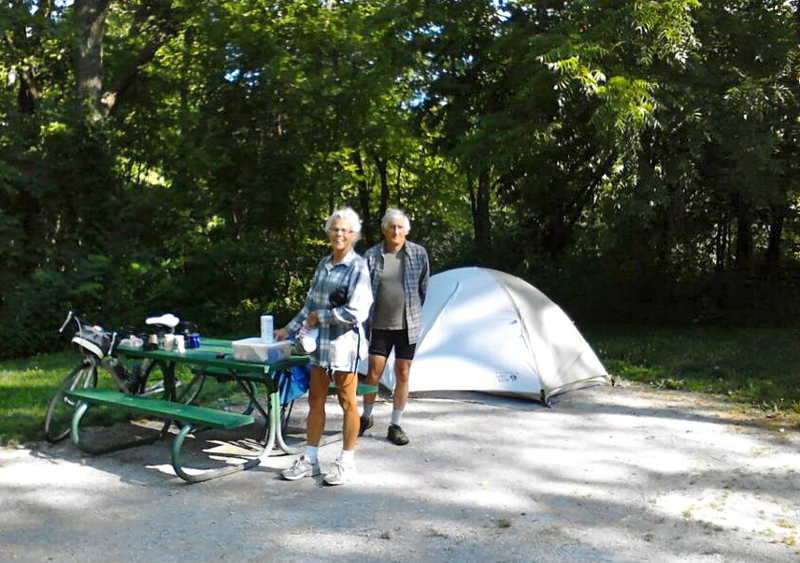 Mike met us one day at our campsite and joined us for a ride to Cedar Rapids. 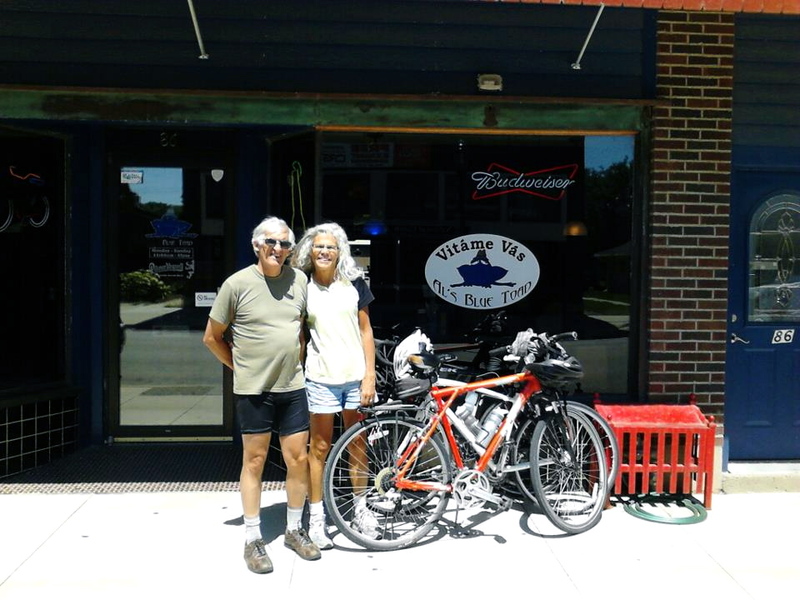 Lunch stop at Blue Toad on bike ride to Cedar Rapids. Bridge over Iowa River in Cedar Rapids. 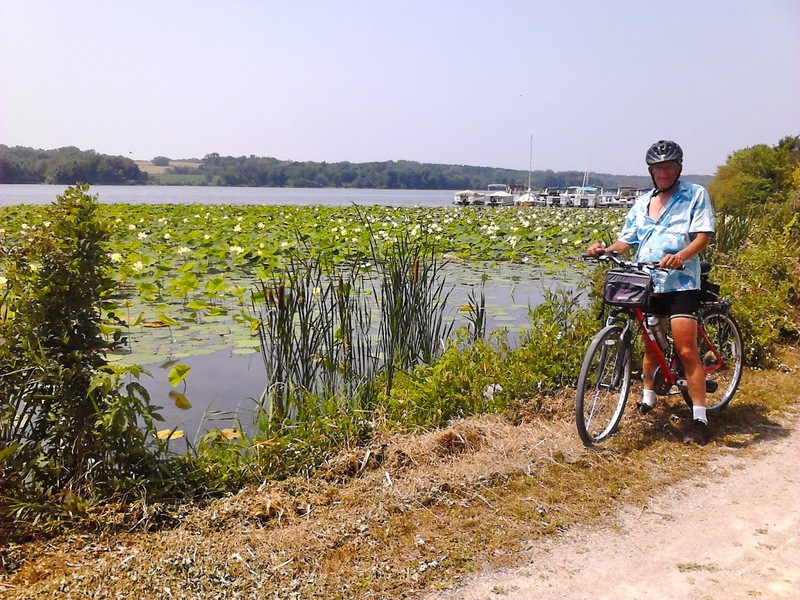 North Shore Bike Trail near campground at Lake Macbride. Lee tried to converse with this Iowan but didn’t get much response.